I don’t know about your mom, but mine rules! And you want to know what else rules? Being a mom. I feel so fortunate for both. Mother’s Day is only a few short days away. Have you found just the perfect gift to show your love and appreciation for the million things she does for you? I try to do little things throughout the year to make my mom smile. But, on Mother’s Day, I want her to feel pampered, spoiled and relaxed – a day all her own where we get to celebrate the beauty of her. 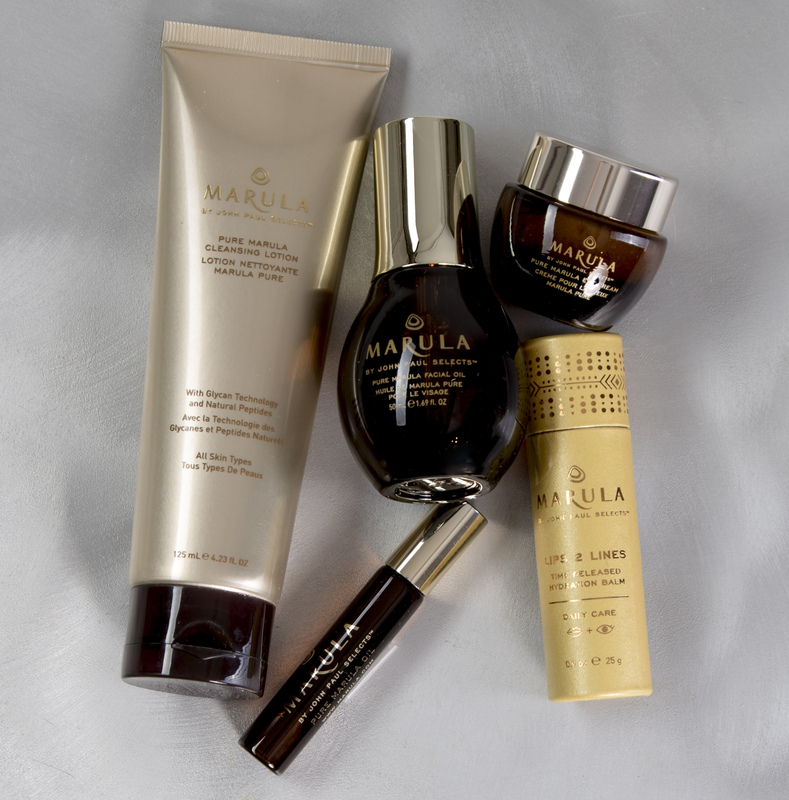 The Marula Collection, with something for every mom. This year, I think I found a gorgeous gift to honor my mom’s loveliness and kindness. I got turned on to a luxurious line called Marula by John Paul Selects. I’ve noticed facial oils are popping up more and more. Interesting concept, but sounds, well, oily to me. Pure Marula Oil is actually awesome. It has great stuff in it like antioxidants and fatty acids (Omegas 6 & 9). These are skin-loving ingredients for sure. Plus, it hydrates, firms and does all that anti-aging magic – diminishing, softening, erasing. And believe it or not, it’s non-greasy, just absorbs quickly into the skin leaving a light matte finish. So, there you go, mom – if you’re reading this – I’m giving you a new glow for Mother’s Day. I hope it makes you feel as beautiful as I already know you are. There are other Marula products in the collection maybe your mom would like better. Lotion, eye cream and a luxurious lips & line treatment. You know your mom – pick what brings out her beauty best. Moms really do rule! Happy Mother’s Day, ladies. This entry was posted in anti-aging skincare, Mother's Day gifts and tagged anti-aging, facial oil. Bookmark the permalink. 1 Response to Moms Rule! Sounds like a beautul gift for you and me.